My husband and I were really terrible about taking a kid free vacation until two years ago. My best friend planned a couples vacation for us at Aria Resort & Casino. Since then we have made sure we get to Aria at least twice a year along with my BFF and her husband. 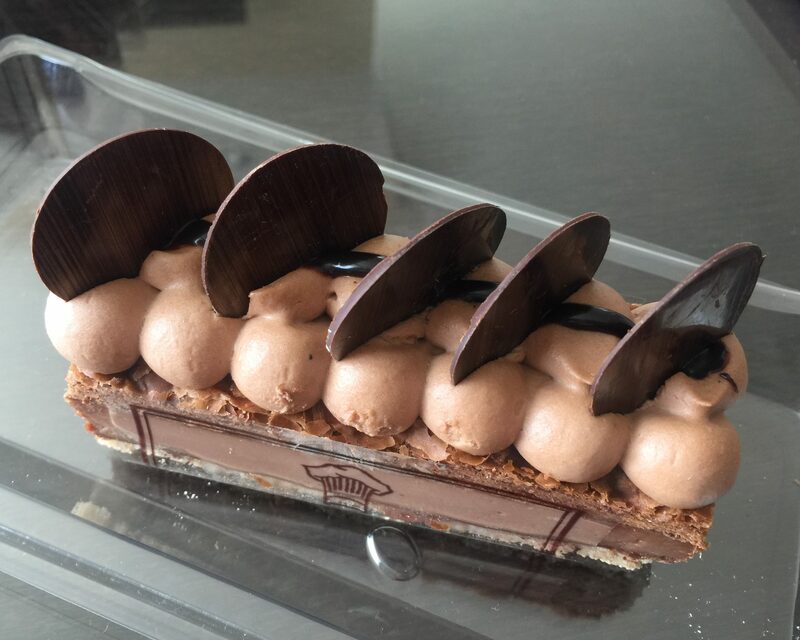 Every trip involves multiple stops at Jean Philippe Patisserie, which is conveniently located in the casino of Aria. 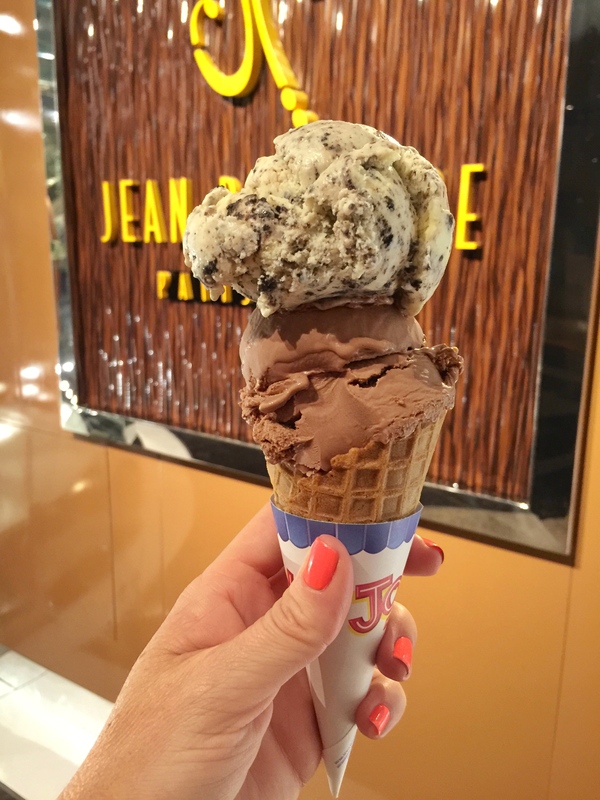 Jean Philippe offers gelato, crepes, macarons, fine chocolates, coffee, tea & espresso drinks, pastries, paninis and many other decadent treats. It didn’t occur to me until I started working on this post that we order anything and everything Nutella at Jean Philippe. Just wait, you’ll see. 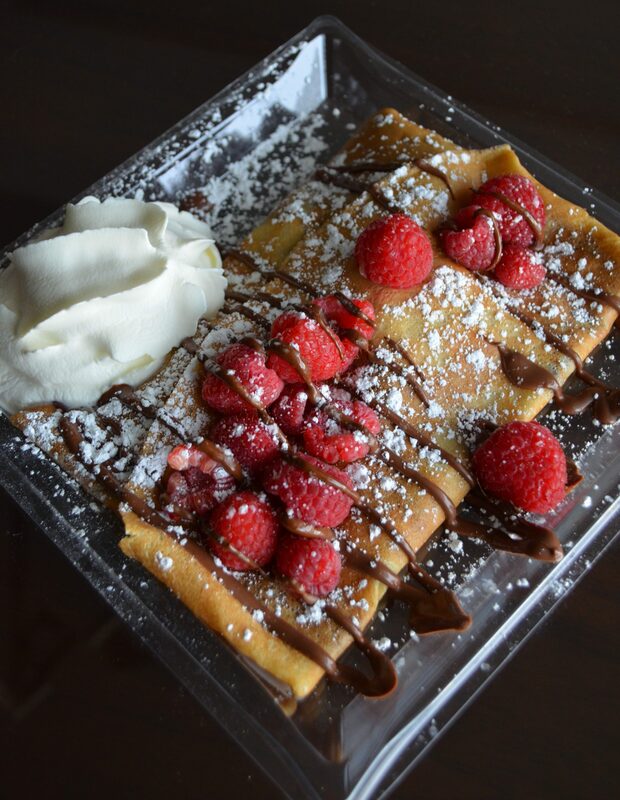 Most mornings on our Vegas vacation we will start our day by sharing a Nutella crepe topped with strawberries and raspberries. They do not hold back on the Nutella and I don’t hate them for that. We prefer getting the fruit on top, but typically they make the crepes with the fruit inside. Jean Philippe isn’t all about chocolate and sweets, they also have a wide array of savory crepes. In addition to the crepe, we grab a café au lait and a couple of Nutella donuts to take back to our room. The Nutella donuts seem to be a hot commodity at Jean Philippe. If you see them in the case, order a couple to go or to just eat right then and there. The donuts are so soft and doughy, generously filled with Nutella and covered in coarse sugar. Needless to say, we do not share this donut! This past month when we were at Aria celebrating my birthday, my BFF and I headed to Jean Philippe in the morning to get some breakfast treats to take back to our suite. I was anxious to grab a few Nutella donuts, but it was before 8 am and according to the employee helping us, it was too early and suggested we try back after 8 am. Suddenly something in the pastry case caught my eyes. 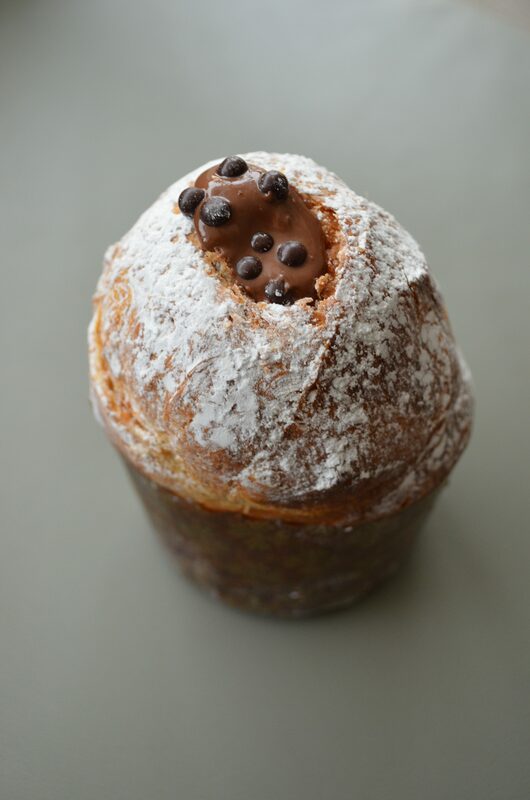 It was a Nutella brioche muffin/donut/amazingness! So naturally I grabbed one. The brioche dough was flaky and had so many wonderful air pockets. As soon as I bit into the donut it oozed Nutella. I will be adding this to my must indulge list for our next Vegas trip. We don’t limit our Jean Philippe visits to the morning, we like to stop in for gelato or pastries to cure any sweet cravings. Jean Philippe has a lot of gelato flavors to choose from. My favorite is Dulce de Leche and Tiramisu! Hey, I guess I do order more than Nutella. ha! And the last of my Nutella love goes to this Nutella Napoleon. If your palate enjoys different textures, then you would love the Nutella Napoleon. It consists of flaky layers of puff pastry filled with Nutella cream and topped with chocolate disks. Vacation calories don’t count, right?! I’m going to vegas in two weeks, with my parents I’m 20 so the only reason I’m going is for the food. I’m pretty excited to visit this place because of you when I saw the post on snapchat I inmidiatly wanted to try them so I’m pretty excited! ( P.S I Love your snapchat, huge fan! ) 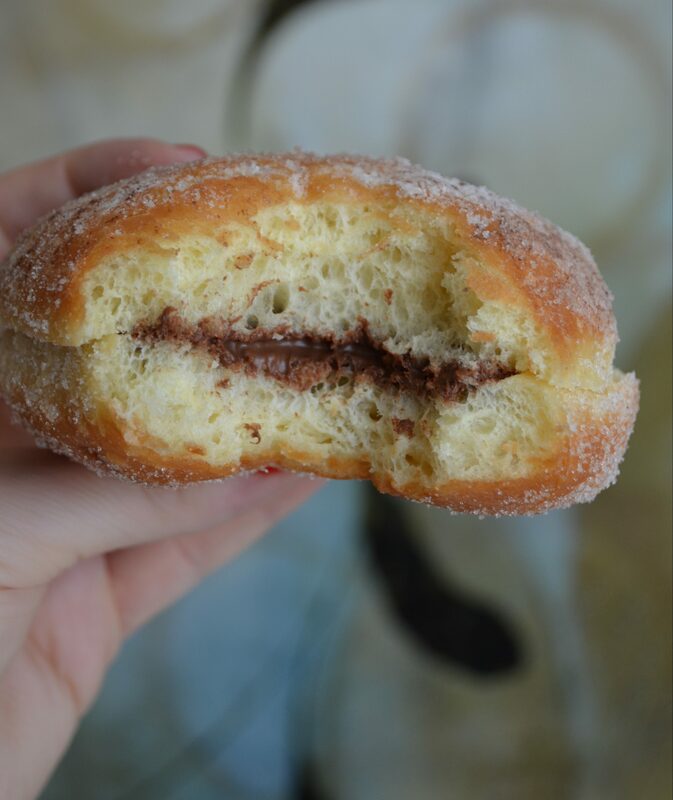 If you had to pick the regular nutella donut or the nutella brioche donut which one will be the best? and do they have them all day or just in the morning? Also is it worth eating one everyday? Thanks! Thank you! Yay for your Vegas vacation! I guess my preference would be the Nutella donut. They have them all day, but they run out of them sooner then the other items in their pastry case. But I am talking like at night, so no need to rush over there. You shouldn’t have a problem getting one. Definitely worth eating one daily. HA! Have fun!